The United Kingdom says its Tax Information Exchange Agreements with St. Kitts and Nevis and three other Caribbean countries have entered into force, each of which complies with the standards laid down by the Organisation for Economic Cooperation and Development (OECD). After a short legislative passage through the United Kingdom Parliament, initiated by the issue of International Tax Enforcement Orders on May 13, the agreements all came into force on May 19, 2011. Signed with the Organisation of Eastern Caribbean States countries Antigua and Barbuda, St. Kitts and Nevis, St. Lucia and St. Vincent and the Grenadines on January 18, 2010, the texts are all largely identical in wording and scope. They apply to taxes of all kinds, and to all substantially similar or identical taxes brought in following the date of signature. The TIEAs also allow for the request of information held by banks and other financial institutions, and information on the ownership of companies, trusts, partnerships and foundations. 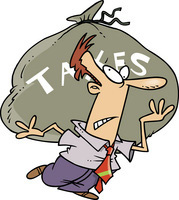 The provisions of the arrangements take effect in respect to criminal matters from May 19, 2011, and for all other matters for taxable periods commencing, or charges to tax arising, on or after the same date. The UK is currently in the process of legislating for the ratification of four other Caribbean TIEAs, with Montserrat, Belize, Dominica and Grenada. St. Kitts and Nevis has signed Tax Information Exchange Agreements (TIEAâ€™s) with several other countries including India, Australia, Monaco, The Netherlands, The Netherlands Antilles, Aruba, Liechtenstein, New Zealand, Denmark, Belgium, Norway, Sweden, Greenland, Farore Islands, Iceland, Finland and Canada.